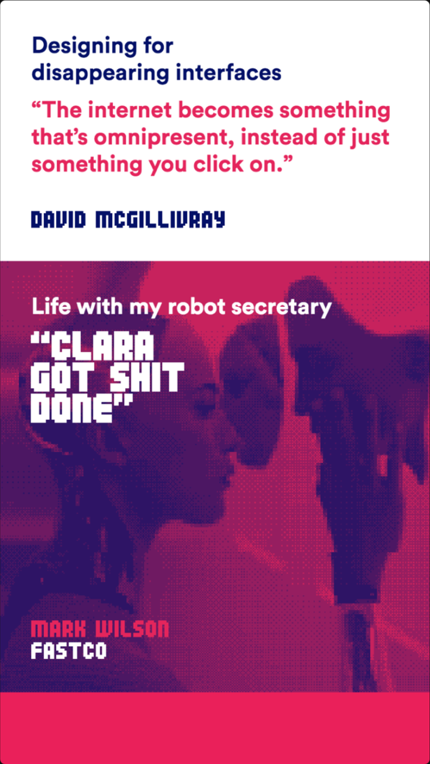 I'm a Designer based in Auckland, New Zealand. I advise local and international clients on User Experience, Product and Service Design. 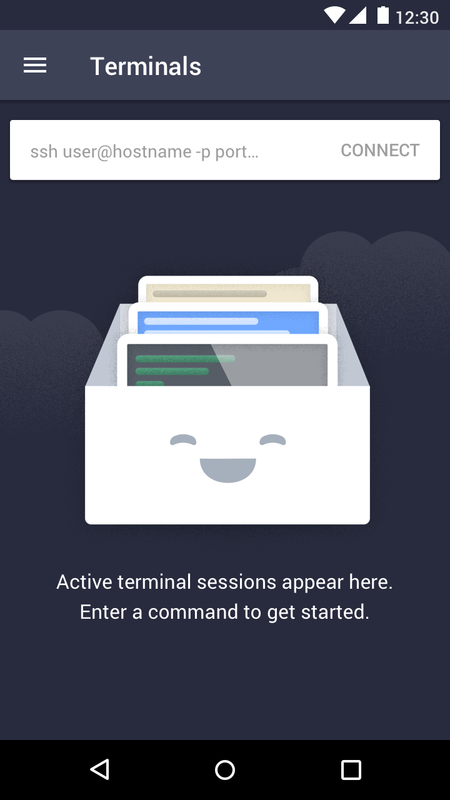 Most recently, I spent 2 years as Head of Design at Termius, a Y Combinator backed startup that builds a beautifully designed server management platform, used by customers like Nasa, Valve, Comcast, HP, CERN, Lockheed Martin and Steve Wozniak, co-founder of Apple. 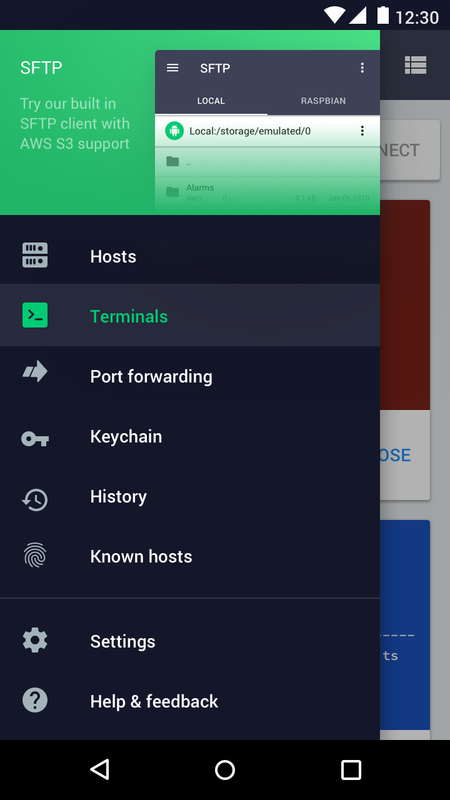 Termius is the #1 cross-platform terminal app with built-in SSH and Telnet. 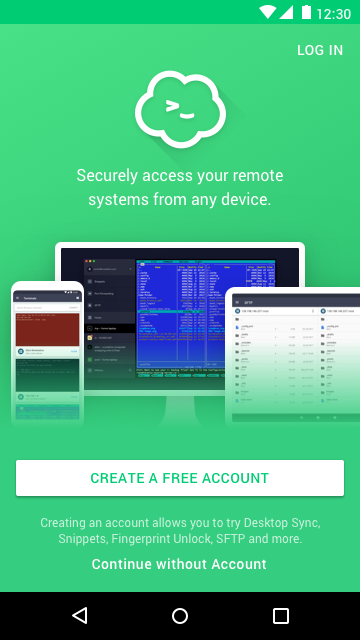 In collaboration with both the development team in Omsk and the company leadership in Auckland, I led a major redesign of the Termius Android app. Outcomes included a complete feature-by-feature UI overhaul, new visual design, introduction of consistent patterns and adherence to Google Material Design Guidelines. The process coincided with the ideation, development and launch of multiple new features including user onboarding, free trial periods, multi-target snippet runs, port knocking, improved account management and enhanced terminal previews. Xero is an ASX listed company that builds beautiful accounting software for over 1 million small business customers worldwide. 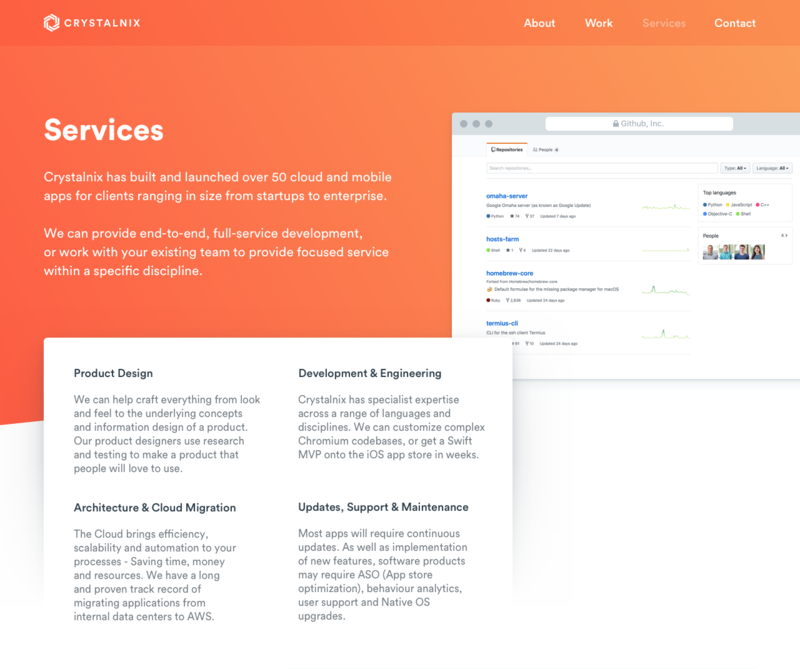 As part of the design team at Xero, I had the opportunity to contribute to a redesign of the Xero homepage, as well as take a central role in the design of multiple landing pages and subsections of Xero.com. Termius offers a family of desktop apps (built with Electron) for macOS, Windows and Linux. 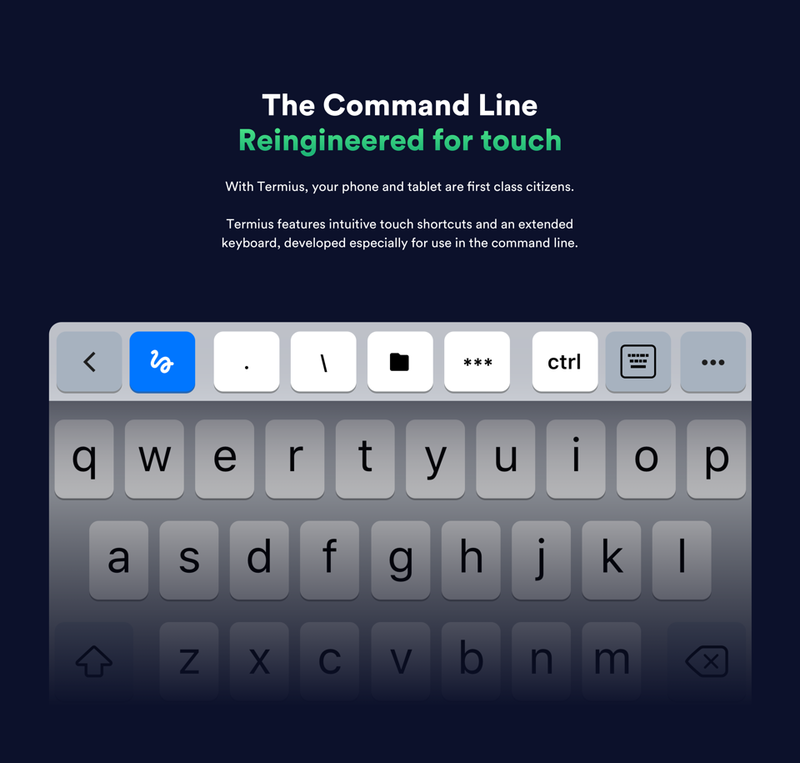 During 2017 I directed a ground-up redesign of the app, creating a cross-platform component library and style guide that informed the redesign of the Termius iOS and Android apps. As a team, we updated the macOS and Windows builds with OS-specific features like frameless windows and native menus. The redesign process also coincided with the design and implementation of an entirely new built-in SFTP client. 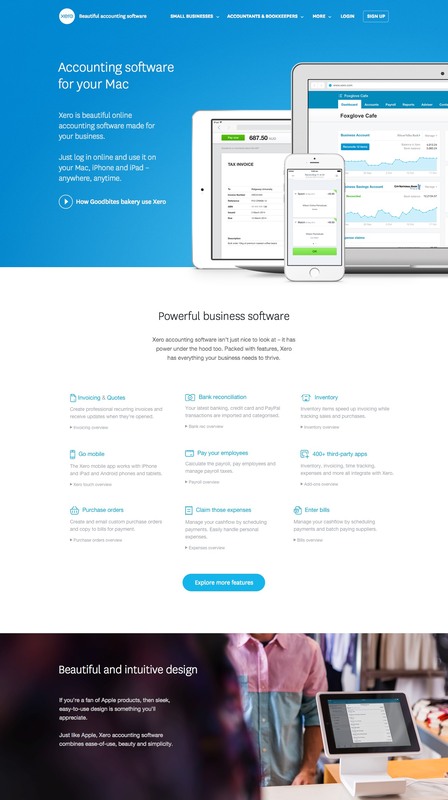 Xero builds beautiful accounting software for over 1 million small business customers worldwide. 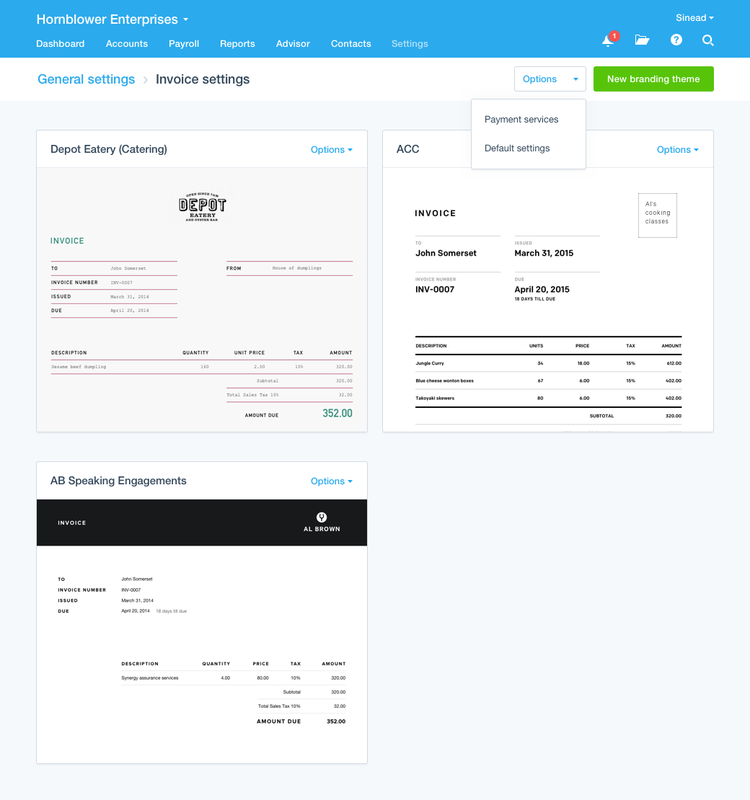 As part of the Xero product team at Xero, I worked on a new suite of invoice template customization features. 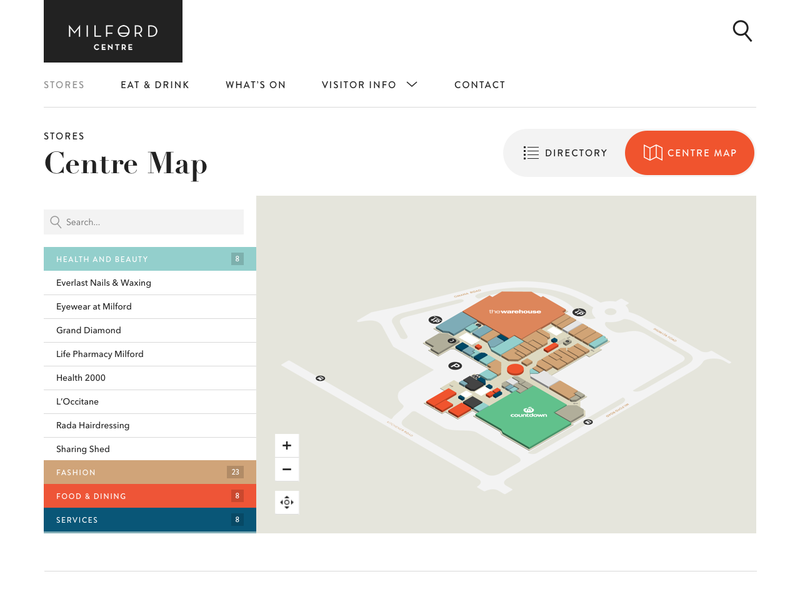 NZRPG manages a portfolio of high-end New Zealand shopping centres. 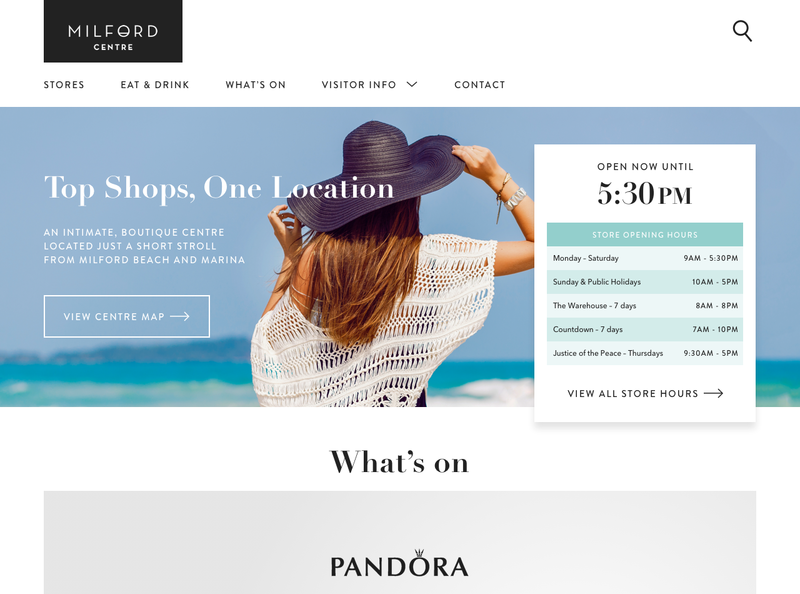 Working with the team at Twenty Digital, we created sites for each of NZRPG's centers, with shared components such as dynamic opening hours panels, store directories and interactive center maps. Termius is the most downloaded and highest rated SSH app on the iOS App Store. 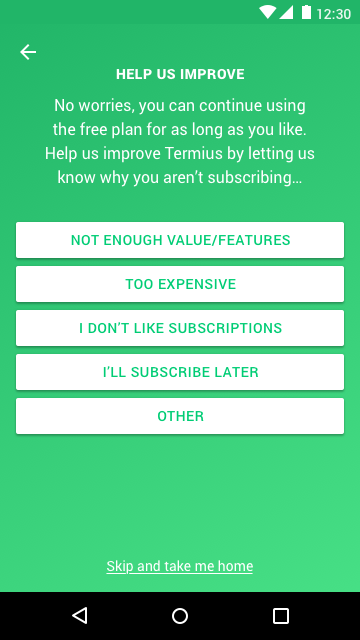 Directing the design of Termius for iOS has been an ongoing process involving multiple phases. In 2017, I guided the adaptation of multiple Android features and components for iOS implementation, designed a global dark-mode, implemented a cross-platform color palette and adapted the Termius UI for iPhone X/iOS 11. Other areas of focus include Terminal Preview rendering, UI transitions/animation and a new onboarding flow and free trial implementation - all requiring strong collaboration between design and engineering. Direction and front-end development/design on termius.com - I worked closely with the teams in Auckland and Omsk to guide a full site redesign. Finalist in the 2017 Best Awards in the Small Scale Websites category. During 2017 I led the ideation and design of a new suite of account management tools for teams and individuals using Termius. 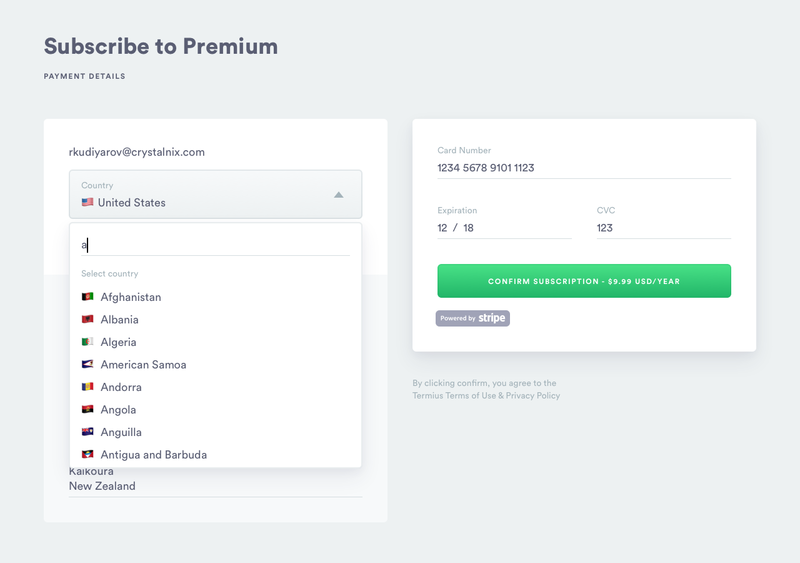 I worked closely with the Termius team to define a clear onboarding and trial strategy to expose more users to Termius Premium features. 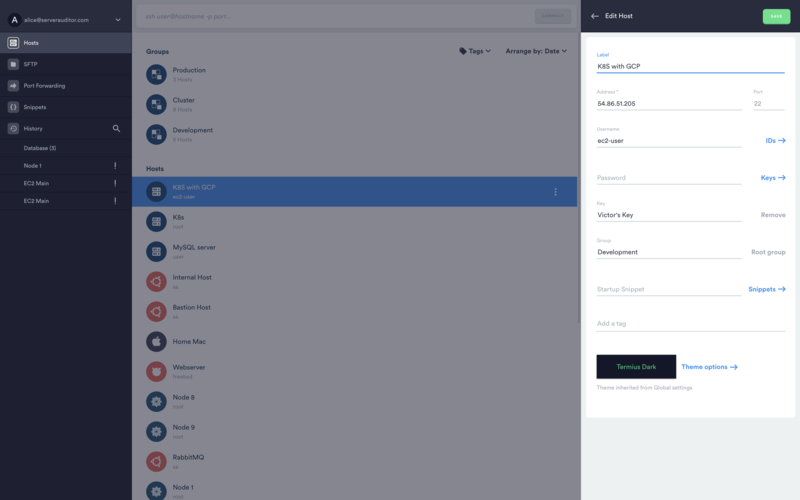 Atomic.io builds prototyping software for product design teams. I was a contributing designer on Atomic's 2015 Year in Review microsite - awarded Gold at the NZ Best Awards. 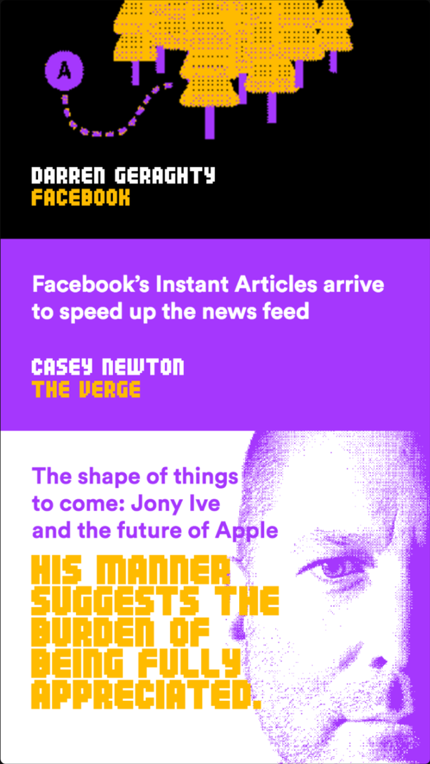 "This piece demonstrated a consistent, systematic approach to marketing its product, aimed squarely at its core audience by presenting unmissable year-end content through an objective, editorial lens. 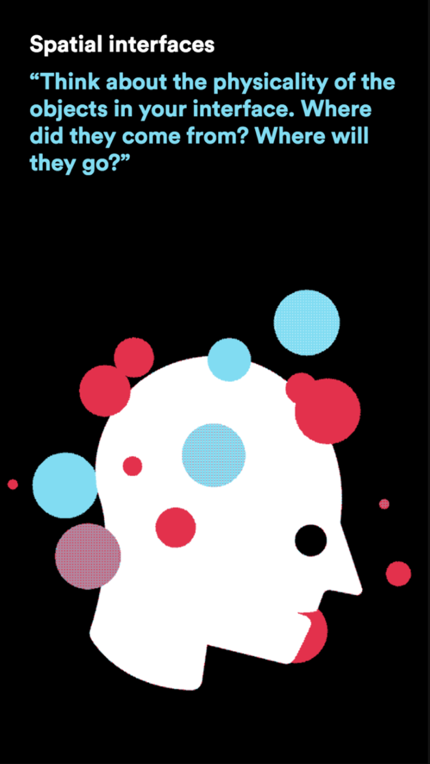 Superb use of colour ways to delineate subject matter, and so many good GIFs." Crystalnix develops high quality custom applications and cloud services for a global client base. Working with multiple internal stakeholders over a 3 month period, we refreshed Crystalnix's visual brand then developed and launched an entirely new company website. I enjoy working with teams and founders on difficult, multi-faceted problems. I currently have availability for new projects. © Kiran Matthews, All Rights Reserved.